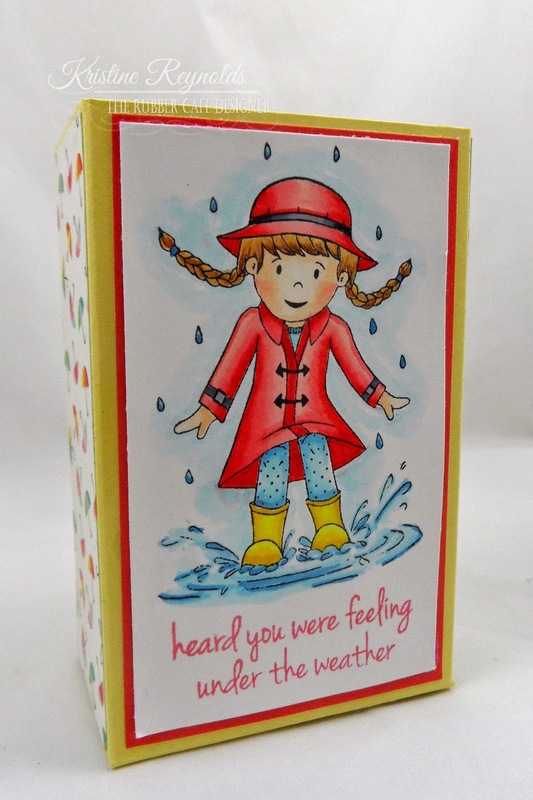 "Spring is Here" and that is the name of this month's Creative Cafe' Kit of the month. This is a very special kit- with yummy spring colors, combined with our special coordinating stamp-set, along with everything from the ribbons to the embellishments are going to really provide you with some inspiration in your crafting this month! 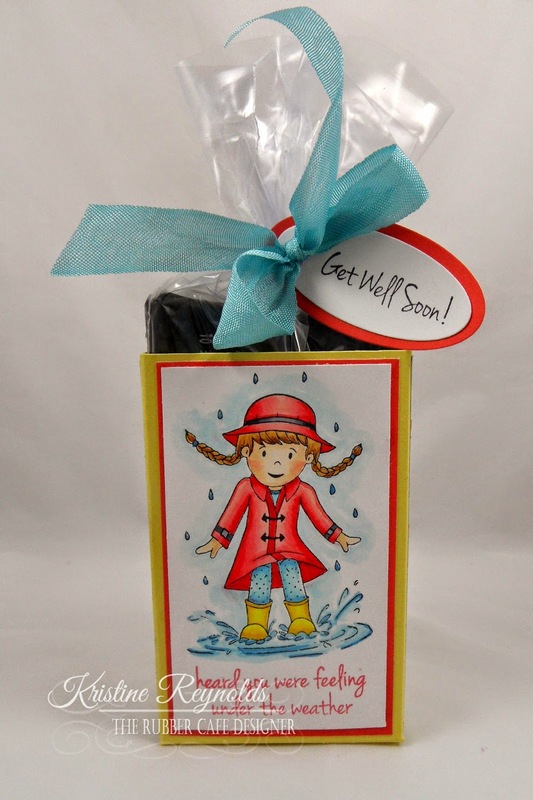 I have been having a blast playing with my Scor-Pal and decided to use it to make a fun little "Get Well" box that would be the perfect gift for that someone special who is under the weather. I started with a 5 1/2 x 8 1/2" panel of yellow cardstock from the kit. 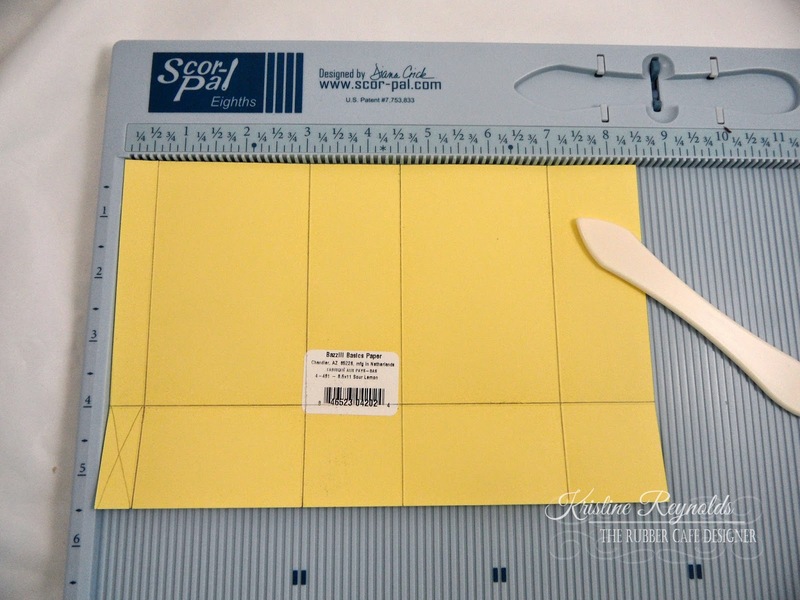 I used my Scor-Pal to score the cardstock at 1/2", 3", 4 1/2", and 7". 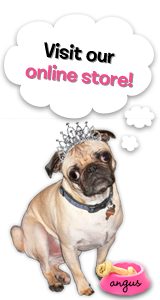 Then I turned the cardstock and scored at 4". I used a pencil to darken the lines below so you could see it better. Where I put the X... you will cut that part away. 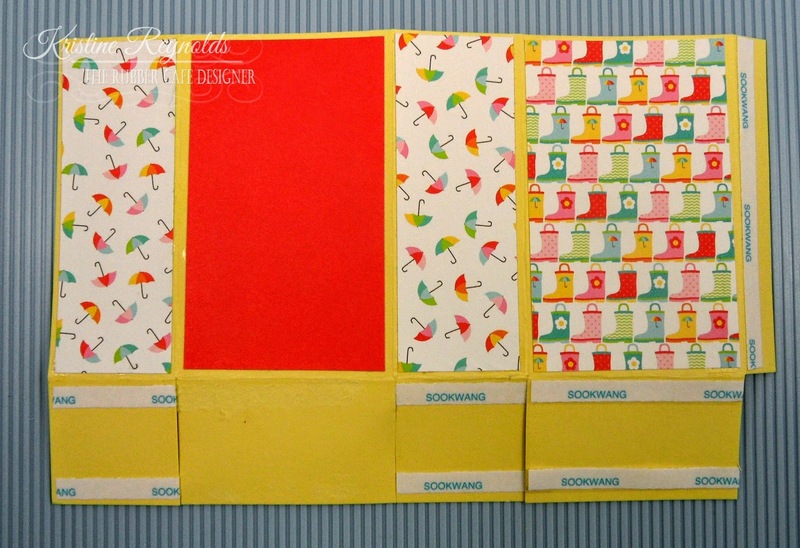 I flipped the cardstock over and covered each of the sections with patterned paper. Then I added strips of Score-tape as shown. 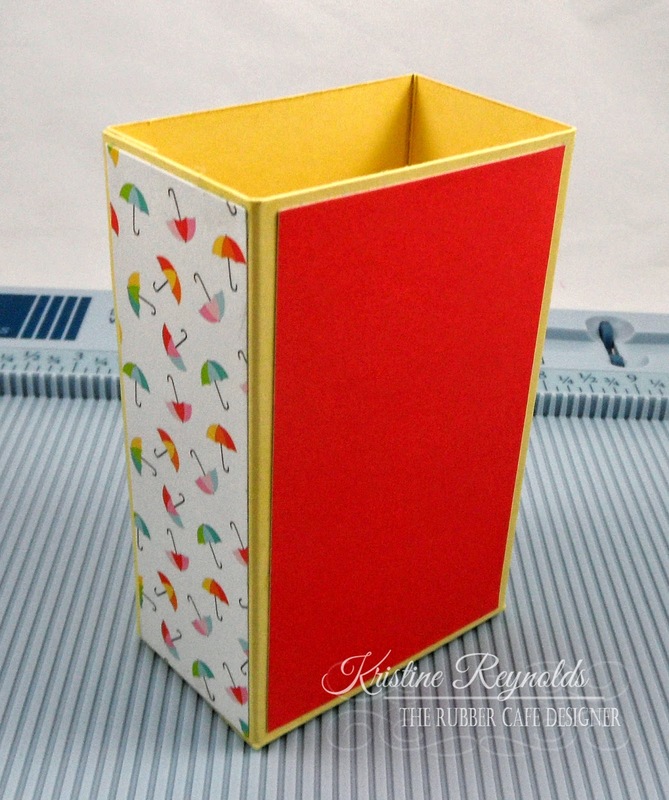 Then I folded the cardstock up and created the box. I stamped the sentiment on the bottom of a white panel with Memento Ladybug red dye ink. Then I stamped the image on the panel with Memento Black Tuxedo Ink and colored with Copic markers before I adhered it to the box with Scrap Happy Glue. For the inside I filled a small clear bag with a kleenex and some medicine and tied the sentiment tag on with blue seam binding from the kit. I put it inside the box and my project was done! 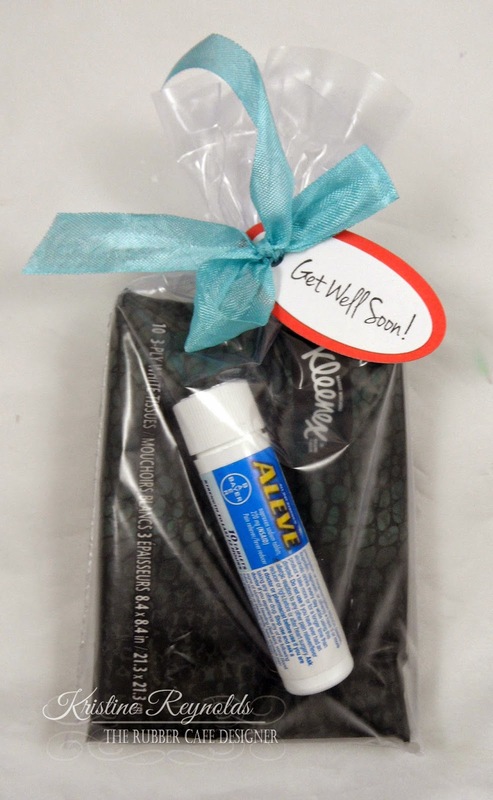 The perfect get well gift for that special someone! 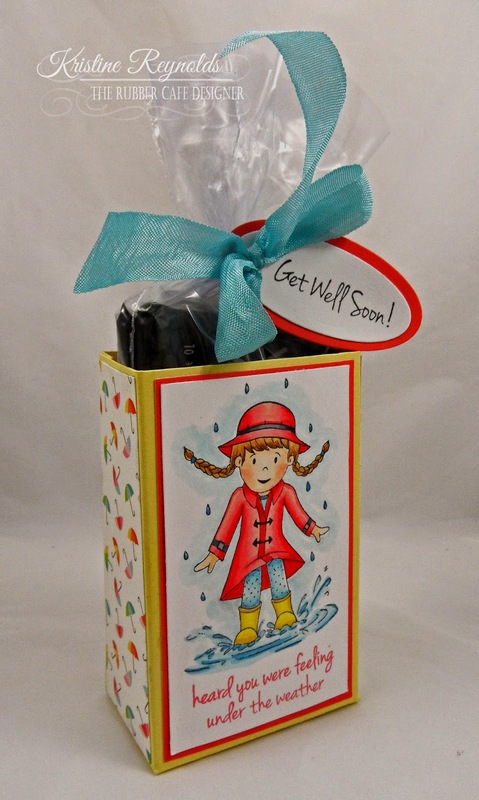 I hope you enjoyed my Get Well project that I made with this months kit!